Spring is here and that means it’s time for Maine Maple Sunday, when a number of maple producers in the area open their farms for tours, demonstrations and other activities. Maple Sunday, which has been held by the Maine Maple Producers Association for the past 36 years, has evolved at some farms into a Saturday-Sunday event, this year March 23-24. Ninety farms are participating from as far south as Chase Farm in Wells to as far north as Northwoods Nectar in Eagle Lake. Lyle Merrifield, whose farm in Gorham has been participating for close to 20 years, said Maine Maple Sunday is a great family event to celebrate the arrival of spring and one of Maine’s key industries. Merrifield Farm, 195 North Gorham Road in Gorham, will be open Saturday and Sunday from 9 a.m. to 3 p.m. with maple syrup and blacksmith demonstrations, antique vehicles on display, a play area for children, samples, tours and a pancake breakfast. Parson’s Maple Products, 322 Buck St. in Gorham, will be open from 7 a.m. to 5 p.m. Sunday with a pancake breakfast from 8 a.m. to noon. Jo’s Sugarhouse/Hartwell Farm, 443 Sebago Lake Road, in Gorham will offer demonstrations, samples and tours both days, as well as a pancake breakfast and lunch. The Lockman Place at 274 North Gorham Road in Gorham, will be open from 10 a.m. to 4 p.m. both days. 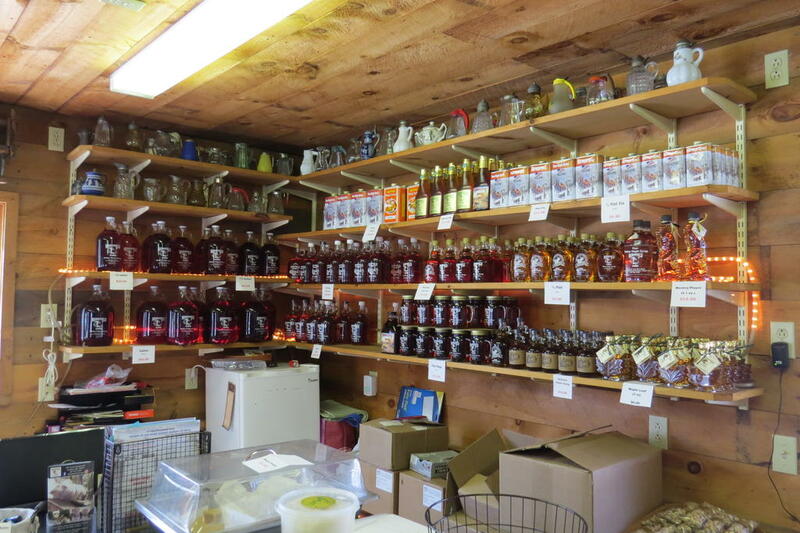 In Buxton, Dunn Family Maple, 419 Chicopee Road, will be open Saturday and Sunday from 9 a.m. to 4 p.m. It will offer a pancake breakfast both days from 9 a.m. to noon, as well as samples, tours, demonstrations and a children’s maple syrup scavenger hunt. Many farms in the Lakes Region area are also participating. Cooper’s Maple Products, at 81 Chute Road in Windham, is planning demonstrations, samples and tours of the property where individuals can see the farm’s 28 mini horses, cattle, peacock, pheasants and chickens from 9 a.m. to 5 p.m. Saturday and Sunday. Balsam Ridge at 140 Egypt Road in Raymond will be open both Saturday and Sunday from 9 a.m. to 4 p.m. and will offer live music, wood carving and maple demonstrations, as well as a breakfast put on by the Raymond Lions Club from 9 a.m. to 2 p.m. both days. Sweet Williams’, 66 Spiller Road in Casco, will have demonstrations, samples, free balloons and face painting for children on Sunday from 9 a.m. to 4 p.m.
Nash Valley Farm, 79 Nash Road in Windham, will have Maine Maple Sunday activities from noon to 4 p.m. on Saturday and 9 a.m. to 4 p.m. on Sunday. Greene Maple Farm (77 Bridgton Road) and Phillip View Farm at 723 Bridgton Road in Sebago are teaming up to hold events on Saturday and Sunday at the Greene Maple Farm property. Merrifield Farms’ selection of maple syrup and maple products are on display for this weekend’s Maine Maple Sunday. The farm, along with others througout the state, will be open Saturday and Sunday from 9 a.m. to 3 p.m. for tours, demonstrations, samples and a pancake breakfast. Close to 100 farms all across Maine, including Dunn Family Maple on Chicoppee Road in Buxton, will be participating in Maine Maple Sunday, an event that celebrates the arrival of spring and the maple syrup industry.